“Emily just celebrated her twelfth birthday!” Tom Whitehead announced, smiling. In any other circumstance, this might be nothing out of the ordinary, except Emily is not an ordinary child. Rosy-cheeked with shiny brown hair tousled from frolicking at the beach, Emily appears vibrant and thriving. You would never guess that she was a terminal cancer patient just five years ago. A new cancer immunotherapy called CAR-T therapy had saved her life. Emily was the first child to receive CAR-T therapy, what was then considered a risky treatment in an early clinical trial for the therapy. After today’s FDA approval of the therapy for sale, she is an icon of the treatment’s effectiveness and promise for thousands of children with leukemia that can now access the treatment. When she was born, Emily was perfectly healthy. Sometimes she would complain that her legs hurt, said her mother Kari Whitehead, but that seemed normal, too. “I thought they were growing pains,” Kari said. But when Emily was 5, Kari noticed bruises on her body – 21 of them. When she brushed her teeth, her gums bled. One night, she complained of excruciating pain in her legs. Kari and Tom knew something was terribly wrong and rushed Emily to the ER near their home in Pennsylvania. Not long after, doctors diagnosed Emily with acute lymphoblastic leukemia (ALL). They said 85 percent of patients with this diagnosis treated with chemotherapy survived and led normal lives. However, after relapsing twice despite intensive rounds of chemotherapy, it seemed Emily might not be among the 85 percent. A bone marrow transplant had, for a second, shown itself as an option, but just as quickly fell through at the last minute. Emily continued to descend into sickness as the cancer grew and spread throughout her body. “I told Emily we’ll crawl to the North Pole if it’ll find someone to fix you,” Tom said. 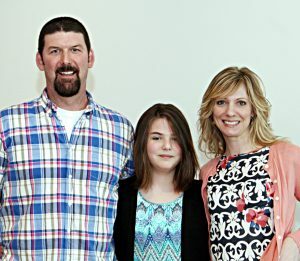 With no other options, Tom and Kari reached out to their contacts at Children’s Hospital of Philadelphia just as a Phase 1 immunotherapy clinical trial for children was beginning. 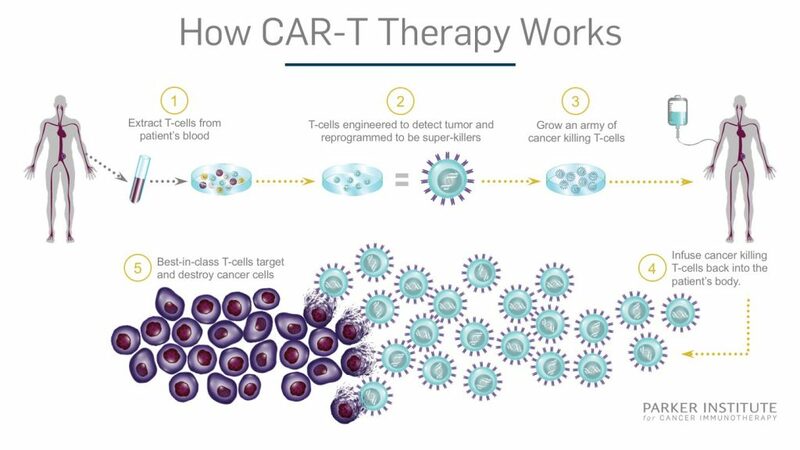 The trial used CAR-T therapy, a technique developed by Dr. Carl June at the University of Pennsylvania. 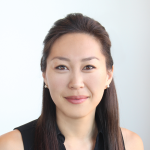 Dr. June, a Parker Institute center director at Penn’s Abramson Cancer Center, had spent over two decades researching cellular therapies in the lab. It was a risky approach and few believed that the immune system could be trained to cure cancer. 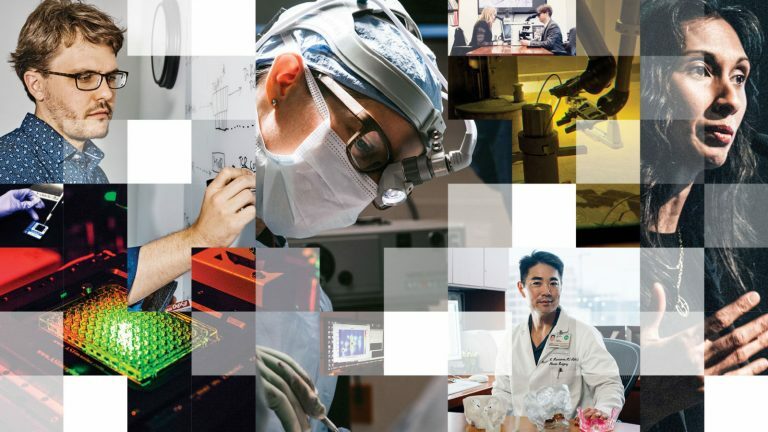 Despite this, studies in mouse models and even early-stage human trials in adults with chronic lymphocytic leukemia (CLL), revealed the great potential of the new approach. Emily became the first child to receive the investigational cellular therapy in a clinical trial led by Dr. Stephan Grupp at Children’s Hospital of Philadelphia (CHOP). For six long weeks, Emily waited as the fighters of her immune system that were extracted from her blood, called T-cells, were “re-programmed” and multiplied in the lab to target and combat her cancer. 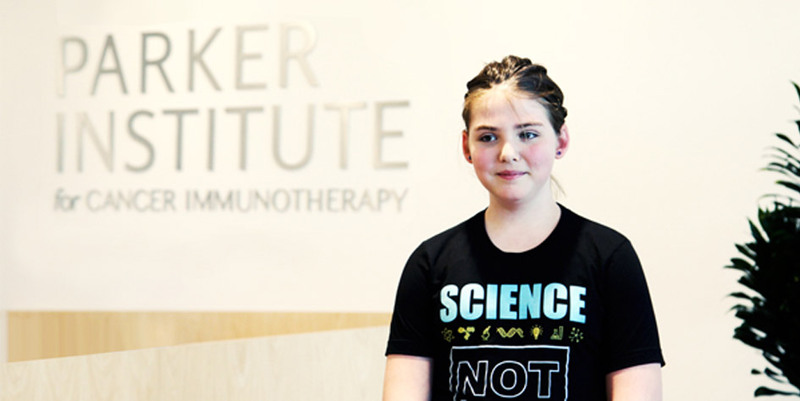 This army of “hunter” T-cells was then infused back into her body. The treatment came with serious side effects. 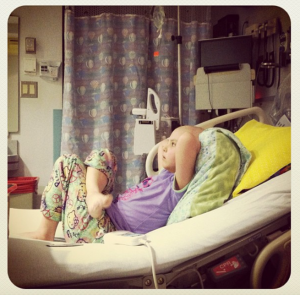 After the third and largest infusion of her beefed-up T-cells, Emily spiked a fever of 105 degrees. Her face swelled, her blood pressure plummeted and she had difficulty breathing as fluid flooded her lungs. Her situation became so dire, doctors put her on a ventilator and induced a coma to keep her alive. 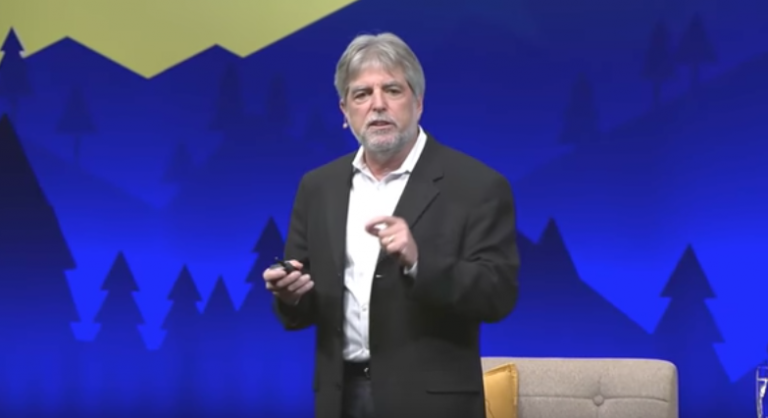 On one hand, this was a sign that the immune system was responding to the treatment, though not necessarily in a favorable way. Many CAR-T patients experience cytokine-release syndrome: the immune system goes into overdrive, causing fever, chills or difficulty breathing. It can be lethal if the body does not course-correct the overreaction. As days went on and Emily did not seem to be getting better, Emily’s chances for survival dwindled. At one point, Tom recalled the doctor explaining that there was only one in one thousand chance that Emily would make it through the night. All the while, Dr. June was corresponding with Emily’s doctors at CHOP about possible ways to balance out her immune response. In a last-ditch effort, they infused a rheumatoid arthritis drug that would suppress the immune response. The drug had never been used in cancer patients. It worked. Emily survived the night. Fourteen days later, on her seventh birthday, she woke up. Her doctors and hospital staff sang happy birthday to her. “She got through it, even when the doctors said she wouldn’t make it,” said Tom. Subsequent tests stunned everyone. The cancer had disappeared. Shockingly, her T-cells were still there, ready to fight any cancer that returned. 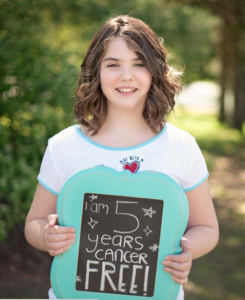 Today, Emily is five years cancer-free. She is just a regular 12-year old, snapping photos of her pomapoo (Pomeranian poodle) and posting YouTube videos on how to make slime, the latest pre-teen craft craze. For the most part, Emily is healthy, except for the occasional sinus infection. To keep her healthy, she gets infusions of B-cell replacement – since the CAR-T cell therapy also destroys healthy B-cells – every other week. Whenever possible, Tom, Kari and Emily spend their time helping other families navigate childhood cancer. They also advocate for pediatric immunotherapy cancer research through the Emily Whitehead Foundation while balancing full-time jobs and school. In fact, Emily was a featured guest at the Parker Institute for Cancer Immunotherapy launch gala in April 2016. She joined Dr. Carl June on stage as he explained the promise of CAR-T therapy to a crowd featuring researchers to Hollywood A-listers, including Tom Hanks, Katy Perry and Katie Couric. Her favorite moment? “Definitely dancing with Lady Gaga on the dance floor,” Emily gushed.